"Something like ten percent of the web flows through Cloudflare's network," states Nick Sullivan, Head of Cryptography for internet "gatekeeping" service Cloudflare. So, in order to keep their client's protected, they need to generate a lot of unpredictable, completely random numbers. That's where this wall of lava lamps comes in. Cloudflare's "Wall of Entropy" sits in the lobby of their headquarters in San Francisco. It uses the unpredictability of its flowing "lava" to assist in randomly generating numbers. 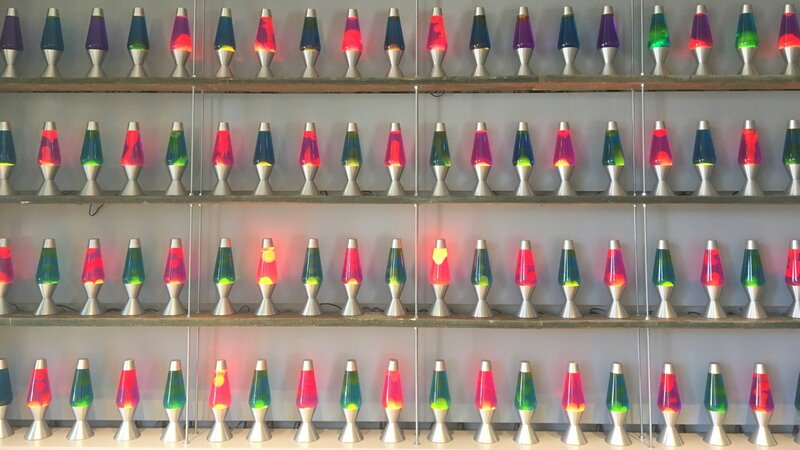 LavaRand is a system that uses lava lamps as a secondary source of randomness for our production servers. A wall of lava lamps in the lobby of our San Francisco office provides an unpredictable input to a camera aimed at the wall. A video feed from the camera is fed into a CSPRNG, and that CSPRNG provides a stream of random values that can be used as an extra source of randomness by our production servers. About this nifty "Onion Pi" HOWTO just published at Adafruit, Phil Torrone says, "Limor and I cooked up this project for folks. We are donating a portion of any sales for the pack we sell that helps do this to the EFF and Tor."